Rio Salado College has been a pioneer in higher learning for more than 30 years. The college represents a new model of higher education for those who are seeking an education through non-traditional means. Rio Salado College was the first school in Arizona to go completely online, and to educate employees where they work. It is the first college in the nation to offer weekly start dates. Now, the Tempe-based college is reintroducing an innovative program called RioPASS, which stands for Pathway for Achieving Student Success. RioPASS is an accelerated two-year associate degree program for students who have a high school diploma (or GED). Students in the program also are admitted as a cohort (a group) and proceed through a prescribed sequence of classes. This means that of the members of the cohort take the same coursework together at the same time, in the same sequence, for the two years they are in the program. The cohort meets periodically on Saturday mornings at Rio Salado College’s main site in Tempe. According to Brock, another unique feature of the program is the benefit of how the classes are paired. After completing the two-year track, students earn an Associate in Arts degree with coursework in General Education, including Sustainability and Environmental Literacy, Business and Liberal Arts. “If interested, the students can earn certificates on the way to their associate degrees,” said Brock. For more information about RioPASS, call (480) 517-8580 or visit www.riosalado.edu/riopass. Rio Salado College is hosting free information sessions for students who want to learn more about the RioPASS program. Sessions will be held at Rio Salado College, 2323 W. 14th St., Tempe. Thursday, June 17, 2010 @ 6 p.m.
Saturday, June 19, 2010 @ 10 a.m. When some people retire they become homebodies and work around the house. Others are not quite ready to completely leave the workforce and seek encore careers. East Valley resident Gary Light is a retiree who fits into the latter category. After finishing a successful career in foreign intelligence with the federal government, he sought out a second career. Light enjoyed the work so much; he decided to start taking classes at Tempe-based Rio Salado College to earn his teaching certificate with a focus on special education. The program he entered is Rio Salado’s 50+ Encore Programs, which was created to support adults over the age of 50 who are eager to prepare for new careers in education. Based on adults’ areas of interest, experience, educational backgrounds, and employment situations, candidates are able to enroll in one of four online teacher certification programs. Rio Salado customized its online teacher certification programs for eligible adults, who are interested in re-careering and pursuing teaching positions in early childhood, elementary, secondary and special education. Light, who is 63-years-old, agrees with Tobey and said he received a lot of support at Rio Salado, which helped him make the dean’s list this past semester. He also said the program can help more than people who are retired and seeking a position with job security. While Light enjoys helping students with special needs, he said the students are not the people receiving help. He said the students are helping him, too. “I feel like working a long time and working with these kids keeps me sharp,” said Light. To learn more about Rio Salado College’s 50+ Encore Programs, contact Rio Salado’s Enrollment Services at 480.517.8580 or visit www.riosalado.edu/fiftyplus. Rio Salado College 50+ Encore program orientation dates, programs and times. The orientations offer an overview of the courses and pathways available. Financial aid options also will be discussed. Rio Salado College's new Café@Rio will have more additions than just an expanded dining space when it opens in June. The café will be managed by Michael Hodgins, the college's new Sustainable Food Systems director, who will be using the kitchen as a classroom for the program's hybrid courses. 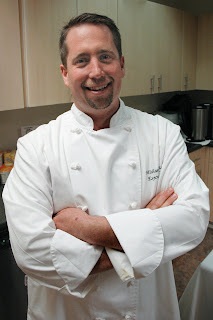 Hodgins, who graduated from the Scottsdale Culinary Institute in 1994, joined the college in April and brings an abundance of culinary experience to the Tempe-based college, 2323 W. 14th St., Tempe. "I started in the food industry when he was 15 years old in upstate New York," Hodgins said. "I've done everything in the industry from owning my own restaurant to working in country clubs to cooking in sports and entertainment venues. Two places I worked at were the Staples Center in Los Angeles and Chase Field when it was called Bank One Ballpark. I worked in the upper-end suites and got to cook for the players. It was a great experience." Most recently, Hodgins worked as an executive chef at Bon Appétit, which is a sustainable foods contractor in the Valley. It was during this time that he realized he had a passion for sustainable foods. It is this passion that led to him becoming a program director at Rio Salado College. "My introduction to the program and Rio Salado College came when I became a member of its advisory council," said Hodgins, who lives in Chandler. "I've been a kitchen guy my entire career and this program drew me toward wanting to work at Rio Salado. There are not a lot of places that have sustainable food programs." In the Sustainable Food Systems program students will learn about the real food movement, how food is produced and purchased, and even preparation techniques for the cooking and baking process. "Sustainable foods are foods that we can use without jeopardizing future generations," Hodgins said. "We will be buying from local farms, which will cut down on food being shipped from far away, and we will grow our own food in the new garden at Rio Salado's main campus." Hodgins has a lot of experience teaching food safety classes and doing demonstrations for crowds, but this is his first time teaching at an educational institution. "I'm currently teaching the Study of the Global Food System and its Impacts, which focuses on the movement toward sustainable food systems," Hodgins said. "In a couple of weeks I will be starting Sustainable Restaurant Practices, which covers energy efficient appliances and equipment, electricity and water conservation practices, environmentally friendly kitchen products and methods for disposal of waste, and much more." According to Hodgins, the courses will appeal to anyone who wants to learn about sustainable foods, not just those in the culinary industry. "There is so much to learn about sustainability," Hodgins said. "There are a lot of people using the term 'green,' but this program will truly show them a more in-depth look at what sustainability and being green means." To learn more about Rio Salado College's Sustainable Food Systems program, visit www.riosalado.edu/food.